Caffè Prezioso is willing to offer its expertise and professionalism to companies who would like to use its brand in their coffee-making facilities. 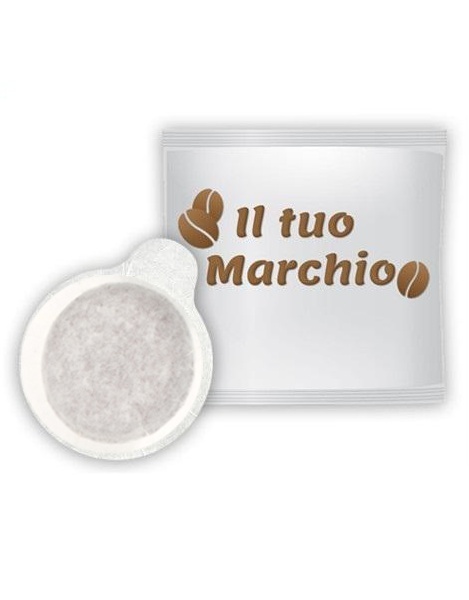 The coffee market, and more specifically coffee pods and capsules, are constantly expanding. There are many brands who have simply had the insight to develop a good sales network on their home ground without having to handle the production itself. Our company will provide you with comprehensive advice, from the graphic design of your logo, right up to the production of all materials which are integral parts of the coffee product. We produce and package our coffee blends in ESE coffee pods, FAP capsules and as coffee beans for third parties. With this service, we can provide you with a fully customised product, that fully reflects your identity, and allows you to quickly expand your sales network. In a period of general economic crisis, taking care of the company's image is a factor to be reckoned with, and we offer our expertise and professionalism to support those who choose us as their partner. Espresso machine, coffee grinder, barley machine, water softener and other machinery available on loan for use. Our coffee bar support and maintenance stands out for our rapid response and our professional technicians. We supply a coffee pod machine on a free loan for use, for your office or shop.